This is absurd that you got booked and shows police priorities in times when road tolls are on the rise. The knowledge of many government officers regarding bicycle fines is very poor. 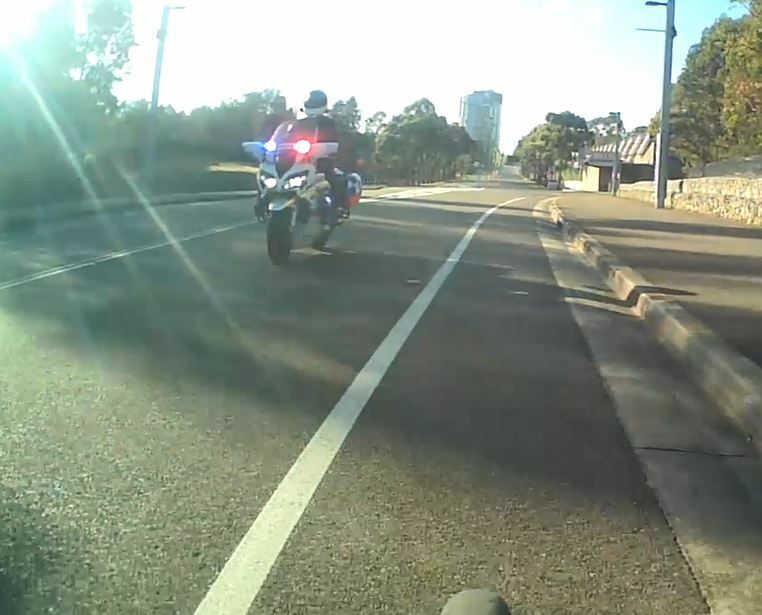 When I got a helmet fine it was unclear whether I could use my good driving record to get off, so I applied for that but was told that bicycle offences were not related to your driver’s licence, so had to pay the fine. I didn’t lose points, but was told that if I didn’t pay the fine I could have my licence suspended. Paying the price for acting rationally and wanting to improve your own health. The law makes little account of cycling, and this is the result of smashing a round peg into a square hole. As an Englishman who’s briefly visited and enjoyed Sydney, I’ve got to say it counts against Australia as a country to move to overall, but NSW especially. Crooks and the highwayman were once public criminals now they are the politicians and police.